The Gentleman Crafter: June Village Piece and Getting Groovy!! June Village Piece and Getting Groovy!! The Tuscan Villa brings back memories of traveling to Tuscany and looking out over the rolling hills and seeing these types of villa’s spotted over the landscape. Our villa’s walls are baked by the sun and bedecked with lots of wooden looking windows to allow the breeze to waft through. Look out the second story balcony and hear a trickling lion fountain that can be found in the courtyard below…sure to cool you after a long day in the vineyard. If you would like to continue adding to your village collection this month or just have fond memories of visiting Tuscany please follow the links below for the kit. To order the kit follow the link HERE! I am starting to pull out and sell all the kits I have done this year, so keep looking here on this website or Facebook if you've been looking for that kit you have seen on either my FB posts or blogs. Today, I am starting with a really cool VW Van...Getting Summer Groovy Man! I love this van! A really hip project that brings back memories of the Swingin’ Sixties! 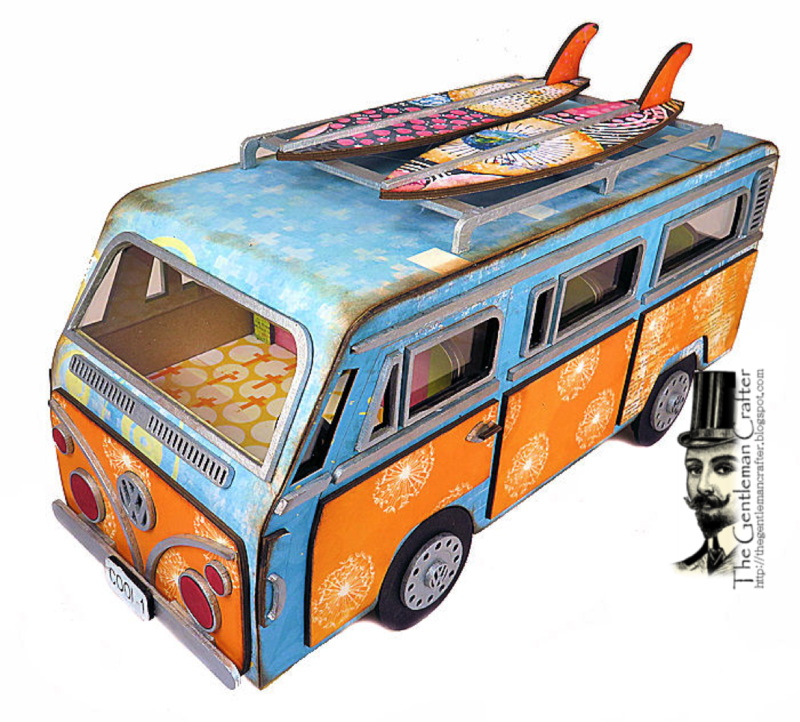 This Groovy 60’s VW Van is all decked out with two outta site surfboards on the van’s roof! There’s also a neato place in the back for (8) journaling cards to capture photos, memories and far-out collectibles. If you would like to give the van a go, follow the link HERE! Again, please keep checking back as I will be adding new things soon. Hi Jim, it has been a while. Just saw this and had to have it. I have never been to Italy, but I am of Italian decent. Actually have relatives still living there. Some day, I hope to be able to visit there, but this really reminds me of all the pictures I have seen. Just had to have it. Thanks. If you were not lucky enough to make this van at Whitworth Ranch it is a must have. It reminds me of my teenage yeas and I have used the journal cards to memorialize my husband and grandson's trip to Pawley's Island.